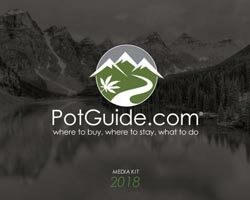 With over one million visitors/mo, PotGuide is the comprehensive guide to the world of marijuana, connecting consumers with relevant service providers across the country. We strive to provide the most accurate & complete directories in the cannabis industry, which is why we strive to include every business regardless of size or budget. Want to add your business? Simply complete the form below and we’ll include you in one of our relevant directories, if applicable. Again, this is a no-contract, completely free process that will only increase awareness and boost engagement for your business. Want even more exposure and insight into your business and advertising campaigns? Target content more effectively and enable trackable analytics by opting for an Enhanced Listing. Own or manage a dispensary? Click here to find out how to claim your listing for free and take advantage of several complementary features including unlimited deal uploads and menu integration. We will create a free PotGuide account on your behalf so you can access your dispensary administration page. This will allow you to manage your dispensary profile, including reviews, menus and the deal system.